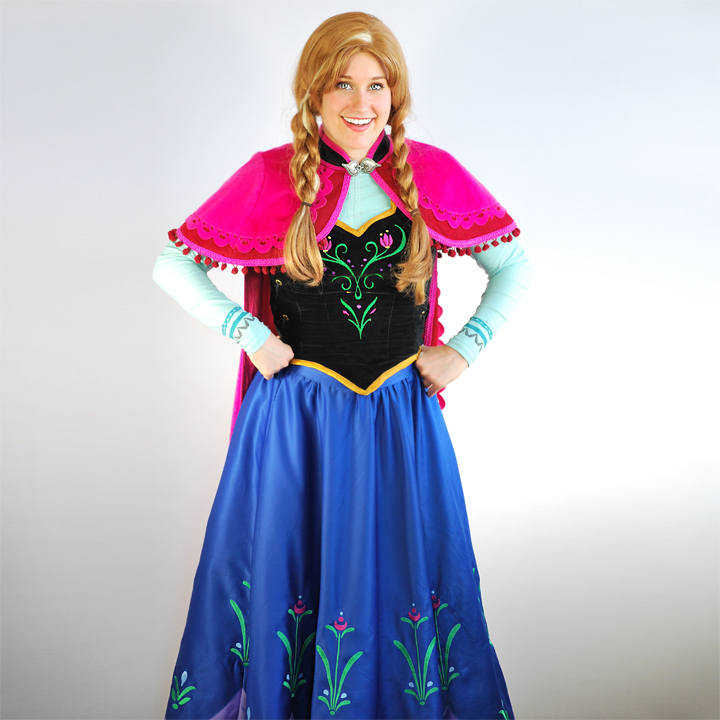 Book the Ice Princess for your princess party! Add a second character and get 15% off all characters. The essential ingredients for a frozen party? Sugar, spice, and little bit of ice — the Ice Princess, that is! 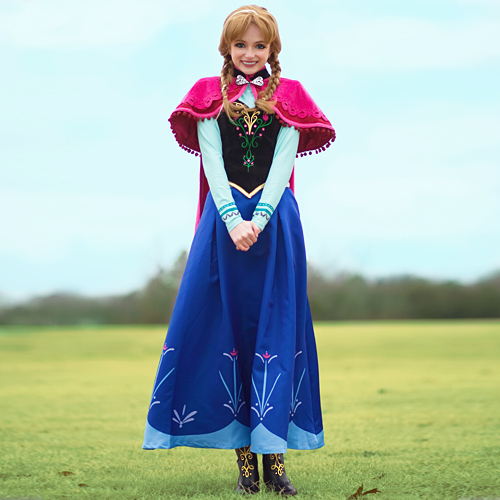 Book both the Ice Princess and her sister to get 15% off all characters. 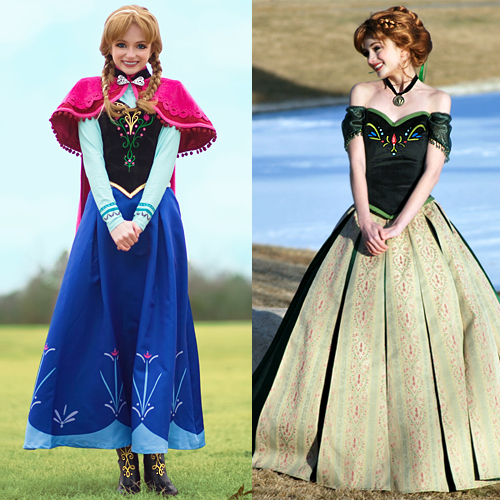 The Ice Princess has two dress options: her traditional dress and her coronation gown. The traditional dress is a classic perfect for any adventure. 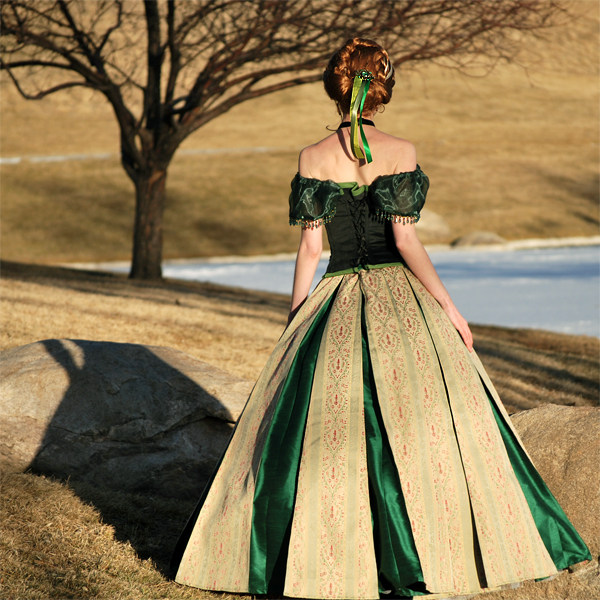 The coronation gown is her fancier option for the most elegant royal occasions. Both feature embroidered details that are sure to impress.